As I’ve noted before, I have an affinity for cemeteries and graves, particularly medieval and 17th/18th century burial grounds. Our recent trip to New England was a gold mine for the latter. 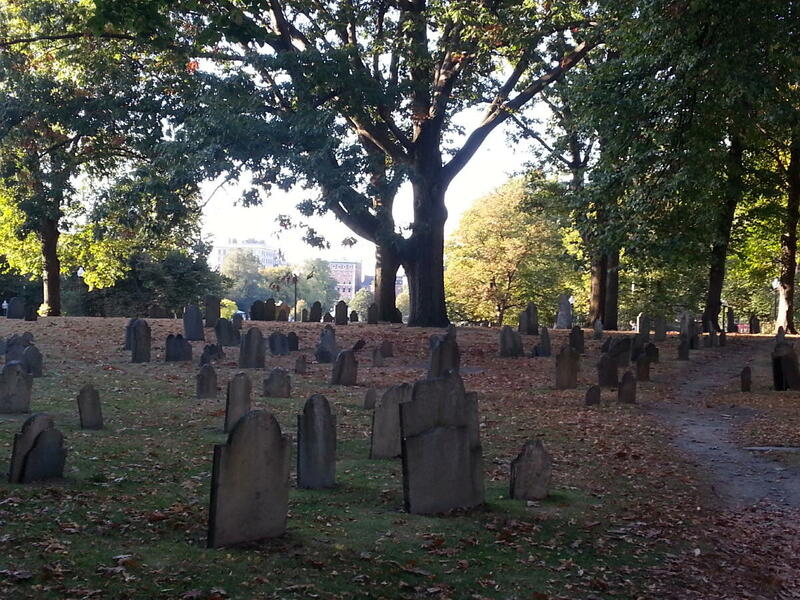 The first one I ran across was the Central Burying Ground on the Boston Common, across the street from our hotel. Unfortunately it was gated and locked, but it really exhibits what I like about 18th century cemeteries – a randomness…not the uniform rows of later grave yards. Of course, that same randomness plays havoc with us genealogists, so it’s a trade off. 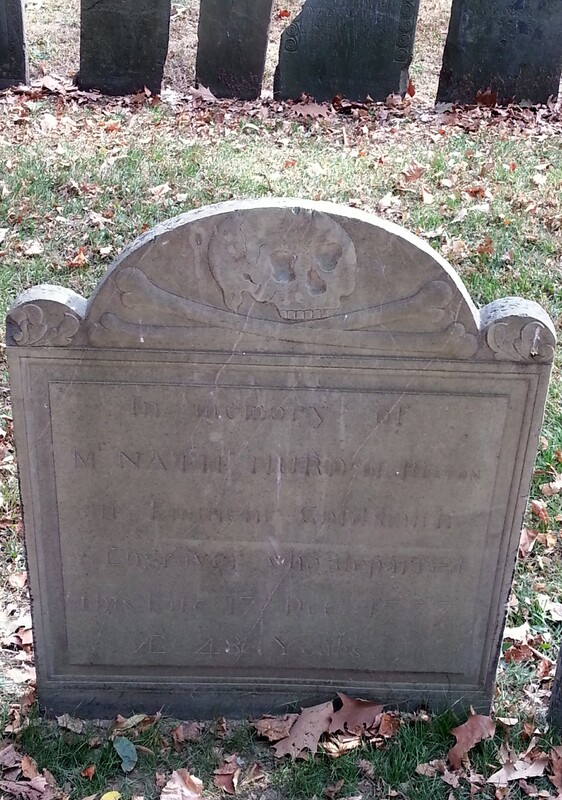 These two stones show outstanding examples of the death’s head motif. 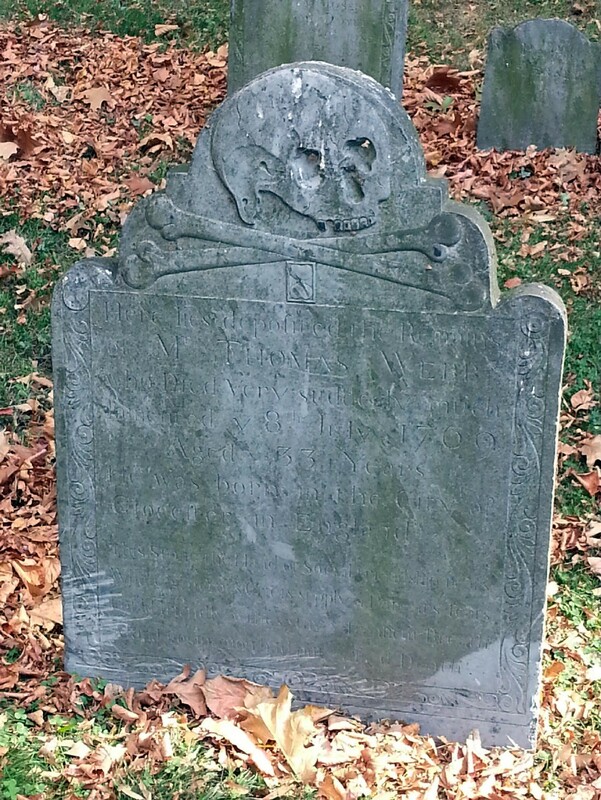 A death’s head, often with wings and/or crossed bones, was a stylized skull – one of the more prominent gravestone icons to be seen in late 17th, early 18th stones. After Hingham, we drove the short distance to Hull. This was slightly out of order, chronologically. 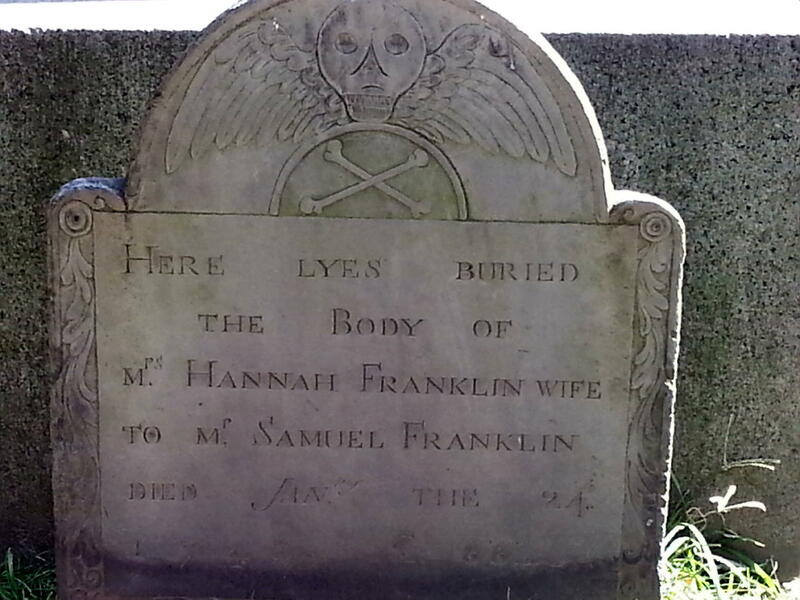 Sarah Smith married Jonathan Franklin, my 8th great grandfather in Boston about 1686. They stayed in Boston for a time and then repaired to Haverhill on the New Hampshire border. 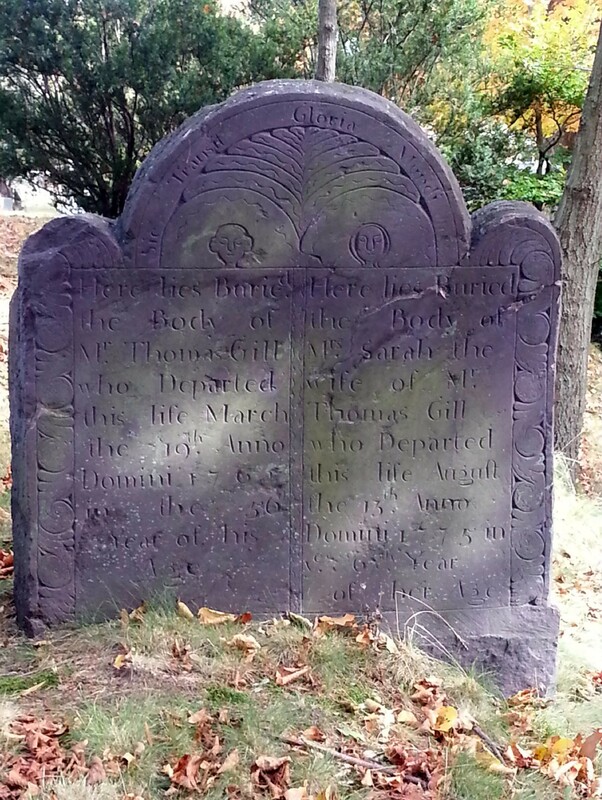 Jonathan was killed by Indians in 1693 in Haverhill. Sarah then married John Fields and with her children, including my 7th great grandfather, David Franklin, moved to Hull where David learned the trade of a seaman. After Hull, we schlepped up to Haverhill. I really wanted to find the Pentucket Cemetery, but it was a lost cause, sending the GPS in the rent-a-car into apoplectic fits. 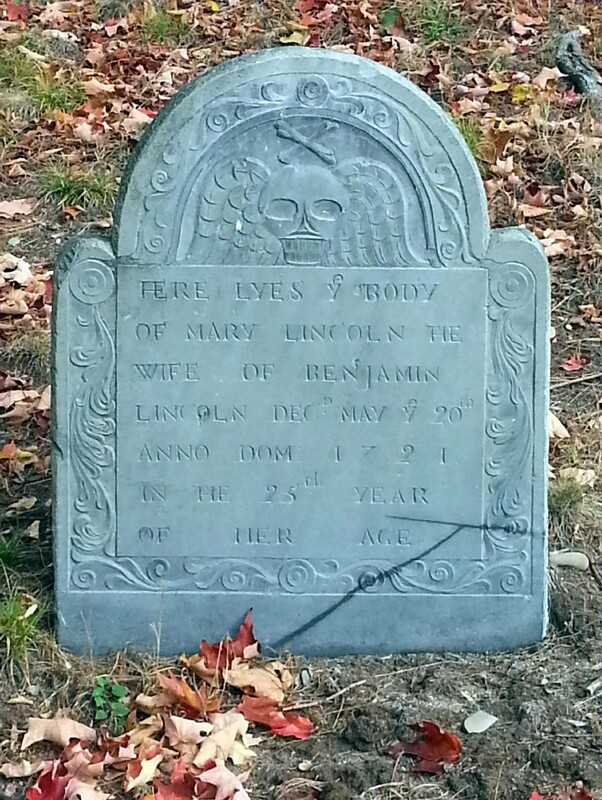 There are alot of Ayer(s) there; my 7th great grandmother, wife of David Franklin, was Elizabeth Ayers. Anyroad, we were back in Boston three days later as part of our tour on the Queen Mary 2. 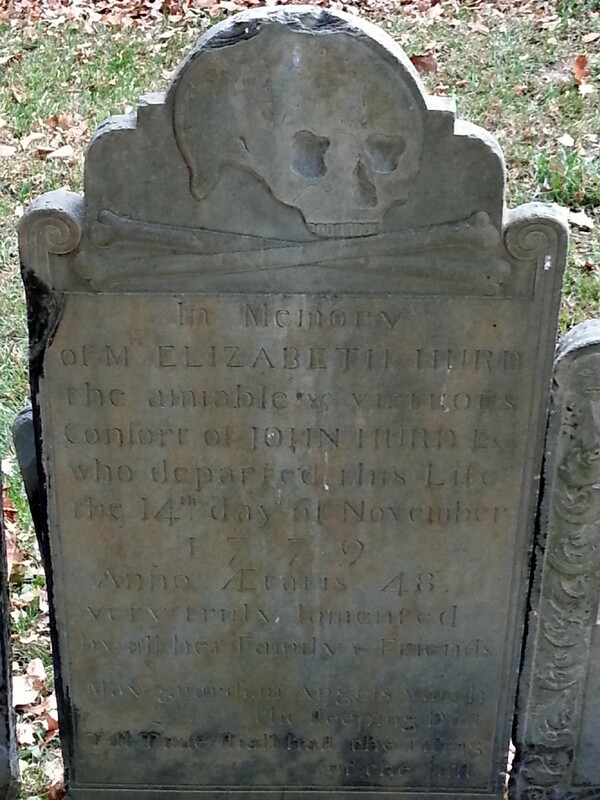 That day, we spent some time in Boston’s Granary Burying Grounds. 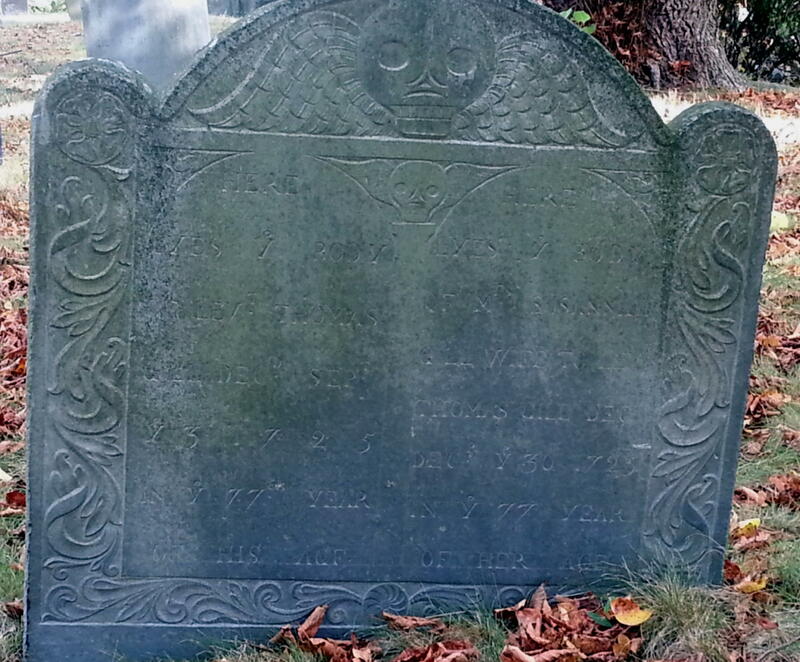 Several famous folks are buried there; Samuel Adams, Paul Revere, Benjamin Franklin’s parents, etc. These are some of my favorite examples from there. 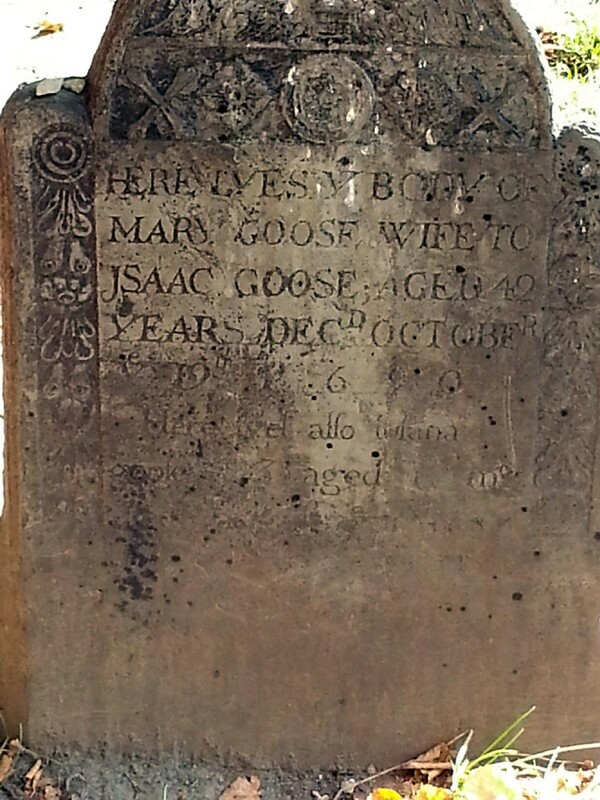 And while probably not true, the local legend is that this is the grave of Mother Goose.